A man who worked at a federal government office building in Gatineau, Que., where the bacteria that causes legionnaires' disease was detected in 2015 has died of the same infection. The 74-year-old security officer contracted the disease two weeks ago and died Wednesday, but it's not known how or where he became ill. The man's wife said she was too distressed to be interviewed by Radio-Canada, but said the disease progressed dramatically. 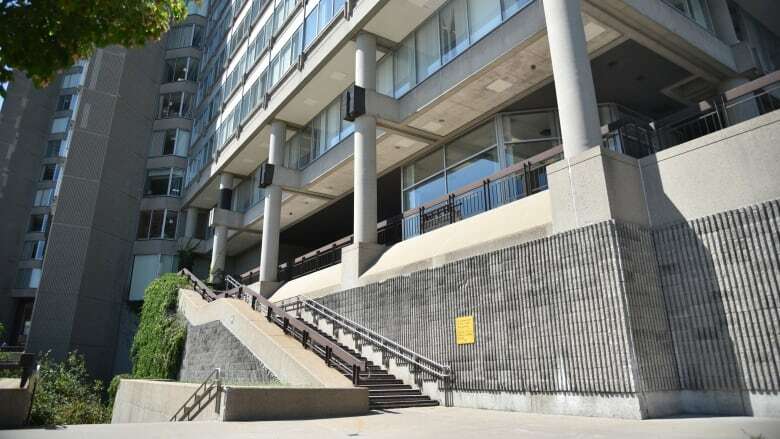 The federal government said no tests carried out over the past six months at Place du Portage III have shown abnormal levels of the bacteria. Legionnaires' disease is a severe form of pneumonia caused by bacteria that can survive for several months in water sources and household devices that use water, such as shower heads and humidifiers. It causes flu-like symptoms that can escalate to hallucination and memory loss, but is not communicable. Between five and 15 per cent of known cases have been fatal. The bacteria was detected in the cooling system at Place du Portage III and in two nearby federal buildings in the summer of 2015. In an email, a spokesperson for Public Services and Procurement Canada (PSPC), the department that manages federal government property, said there are different kinds of tests for this bacteria. Weekly tests return results within 24 to 48 hours. A test that checks specifically for the bacteria that causes legionnaires' disease is conducted monthly, with results available within 10 to 14 days. PSPC said it hasn't heard of any other Place du Portage III employees diagnosed with legionnaires' disease. PSPC said it's aware of another investigation into a case of legionnaire's disease in the same Hull neighbourhood as Place du Portage, and has shared its test results with the local health authority, the CISSS de l'Outaouais. The CISSS said there have been six known cases of the infection in western Quebec since the start of August, and between three and seven in a typical year. Thousands of federal public servants work at the Place du Portage complex, just across the Ottawa River from Parliament Hill. Nearly 2,500 of them will be moved from the Place du Portage III tower starting next month while the building undergoes a major renovation.